The Cirneco dell'Etna is a small hound-type dog used in Sicily for rabbit hunting. It is found all over the Italian island and particularly in the area surrounding the active volcano, Mount Etna, where the dogs hunt on terrain formed by volcanic lava. Its presence in Sicily is noteworthy as one of the few ancient breeds that have undergone very little manipulation by man. Instead, the breed has been rigorously selected by nature for its ability to work for hours. The dog we have today is an extremely hardy breed. Affectionate and friendly, it is considered easier to train than some of its sighthound cousins. 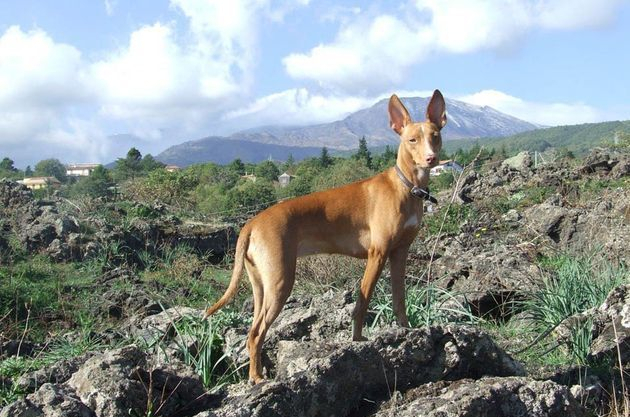 The Cirneco dell'Etna is classified in the Hound Group in the United Kingdom and in the Fifth group as a primitive hunting dog with the FCI in Europe.